I always wanted to somehow recreate the final background after I had seen the reproduced layout in ROBERT D.FEILD’S 1940 published book THE ART OF WALT DISNEY. 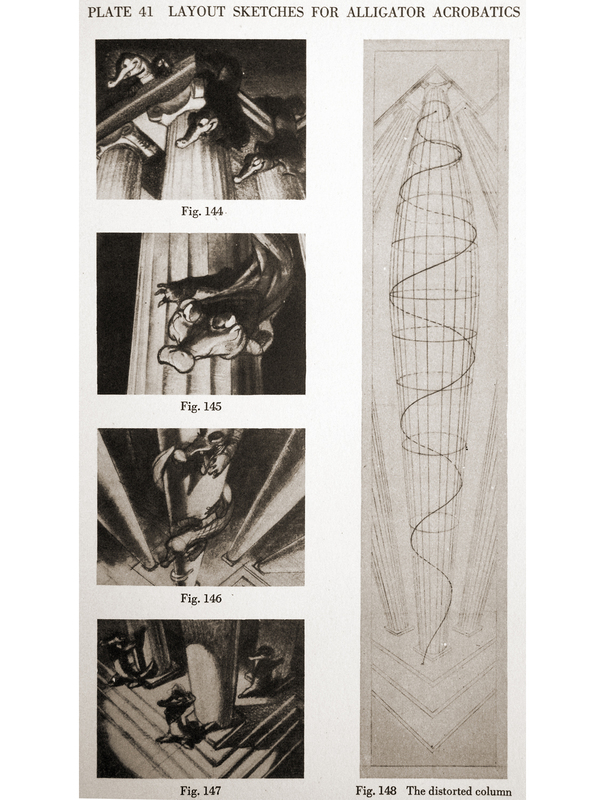 it took me a while and was quite complicated, but now you can see it below – the mentioned page from the book and the recreated extreme long pan-background from disney’s november 1940 released FANTASIA ( DANCE OF THE HOURS ). this extremely long recreated pan is from disney’s 1940 FANTASIA, the PASTORAL SYMPHONY. for my taste it is a bit too colorful. but I am european, and especially northern-europeans prefer more subdued colors. 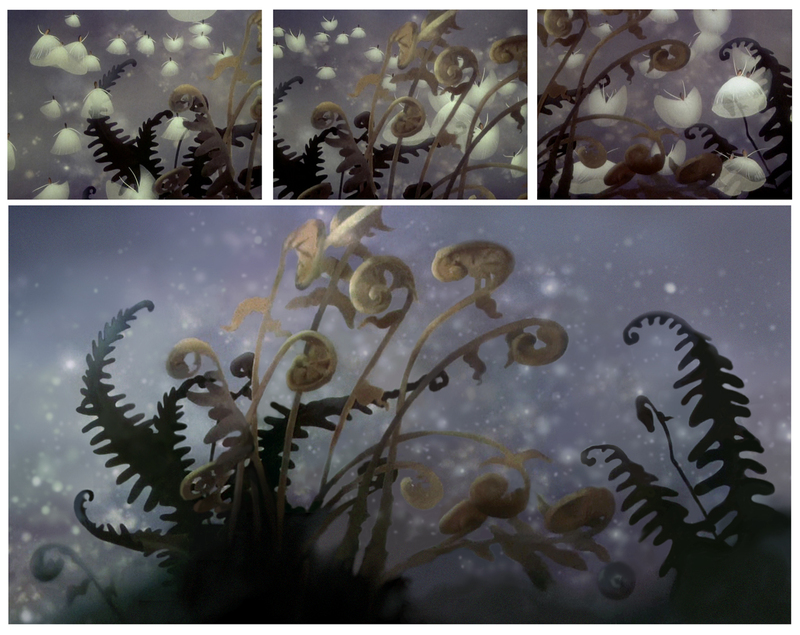 more interesting is the stylized world that was created for the greek mythology inspired gods and fantasy creatures. 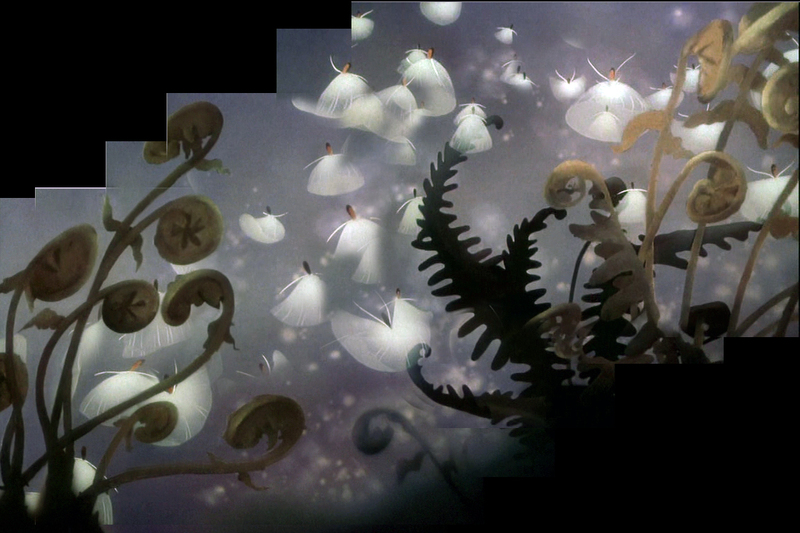 a recreated longer pan from disney’s FANTASIA, BEETHOVEN’S – PASTORAL SYMPHONY. this recreated combined pan from disney’s FANTASIA, NUTCRACKER SUITE, was the most time consuming piece I did so far. there was so much animation happening in the background that I had to actually repaint several areas, of course trying to match the original. I really wanted to see it completed, in my opinion one of the most beautiful scenes in the film.